Like the “Assign Material to Selection” function, all Softimage/Maya Guys know the “Select objects with his martial” button. I know this is already an option under the material palette. But who uses this? 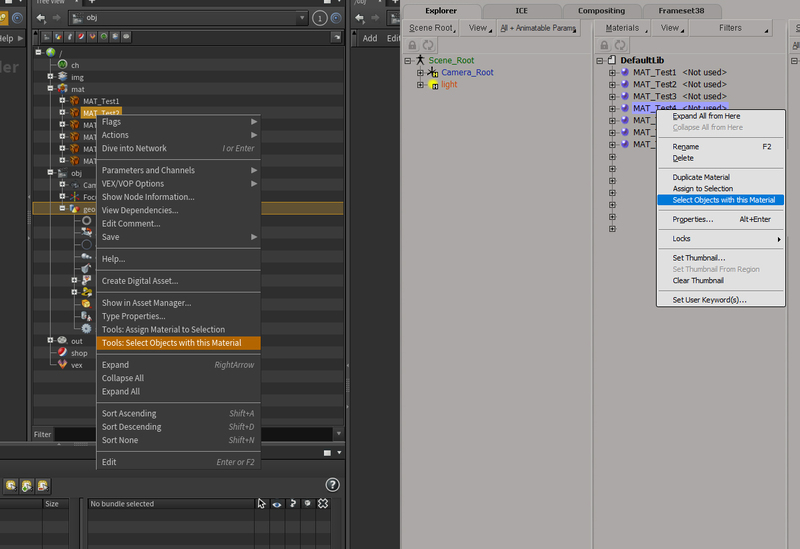 So here is the code to get the same functionality in Houdini. Just copy/paste the code into this file: C:\Users\USER\Documents\houdini17.0\OPmenu.xml And you are done. On the next houdini restart it should pop up on the right mouse button menu.